Unfortunately, there are always phishing attacks and scams that are trying to trick users into providing criminals and hackers with access to your accounts. 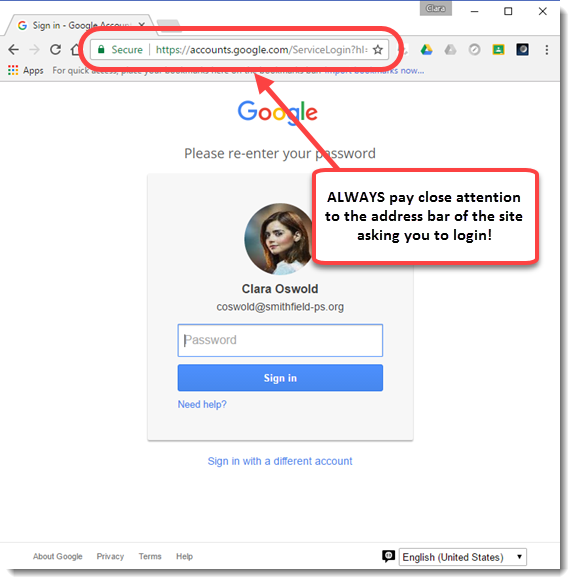 You may have recently read about a particularly tricky and sophisticated phishing scheme that has fooled even tech savvy users. Forbes online has a good, easy to understand summary of the phishing attack, http://www.forbes.com/sites/leemathews/2017/01/16/gmail-phishing-attack-targets-your-contacts/#3cc172e51f9d. 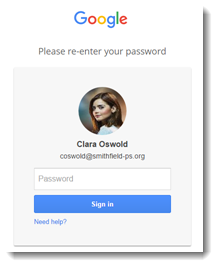 I wanted to share some tips and strategies with you to help increase the security of your Smithfield Google account. These strategies also apply to other types of online accounts that you may have and use in your professional and personal lives. ALWAYS check the browser address bar for any site asking you to login! If either of these things is missing, DO NOT enter your username or password! Even if you use extremely secure passwords (and we all do, right?) 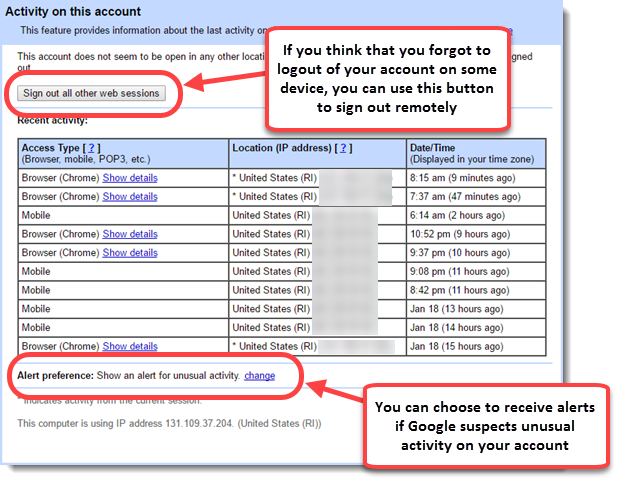 and are really careful about checking the sites we use, there are additional steps that you can take to secure your Google account even further. 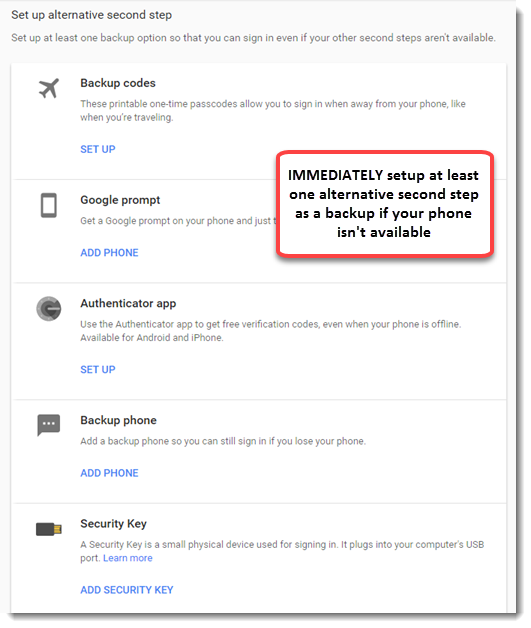 One method is to use 2-Step Verification. 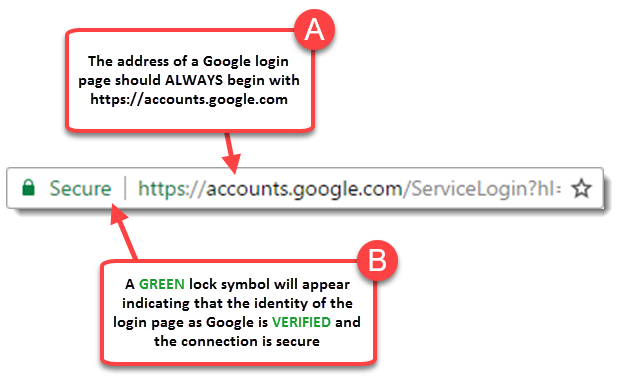 2-Step Verification essentially means that, in order to login to your account, you will need to know your password AND provide an additional way to verify your identity (e.g. a code sent to your phone, a code from an app, a physical security key). This means that, even if someone gets your password, they will not be able to login to your account if they do not have that second method to verify your identity. 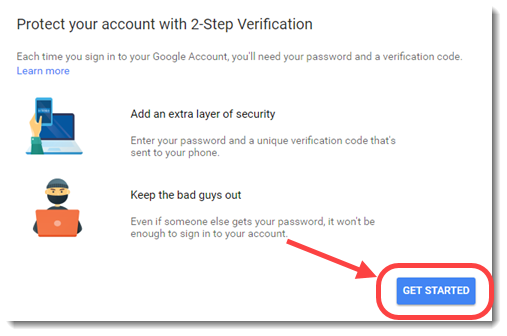 While 2-Step Verification adds an additional step each time you login, it makes your account MUCH more secure and I STRONGLY recommend giving it a try. I use 2-Step Verification on both my work and personal accounts to help keep them secure. While it is less convenient, once you get used to it, it just becomes part of your routine. Here's how to enable 2-Step Verification. You will need to have a phone handy, preferably a cell phone. 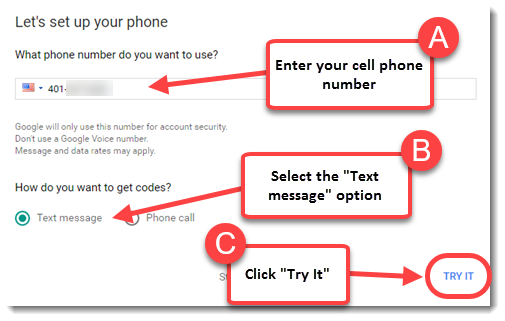 Google will ONLY use this phone number for account security; they will not share it or make it public. Enter the phone number that you would like to use. I recommend using a cell phone and choosing the "Text Message" option. 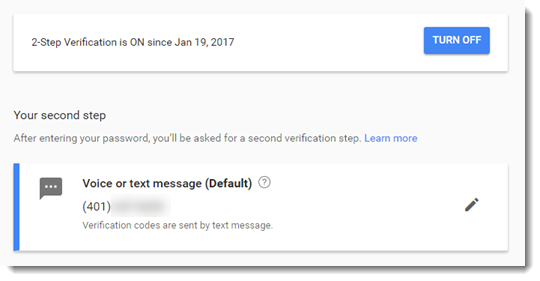 Click "Try It"
Within a minute or so, you should receive a text message from Google that contains a verification code. The code expires in a few minutes and can only be used once. 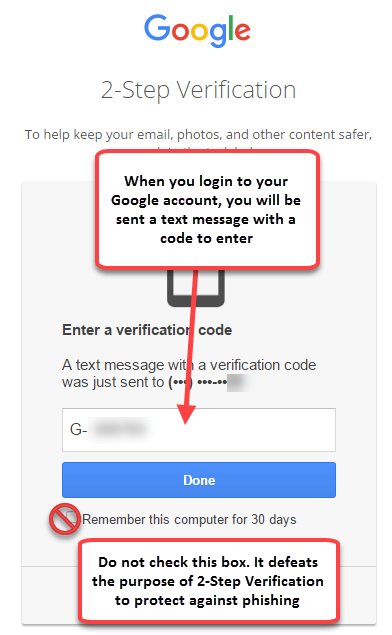 Enter the verification code on the page and click "Next"
If everything works as it should, click "Turn On"
In the future, when you sign-in to your Google account, you will be prompted to enter a verification code from a new text message sent to your phone. These codes expire in a few minutes and cannot be used more than once. Also, as tempting as it may be, do NOT check the "Remember this computer for 30 days" option! I hope that these strategies prove to be useful. While good security is not convenient, it is the responsibility of each and every Smithfield staff member to keep their accounts secure.